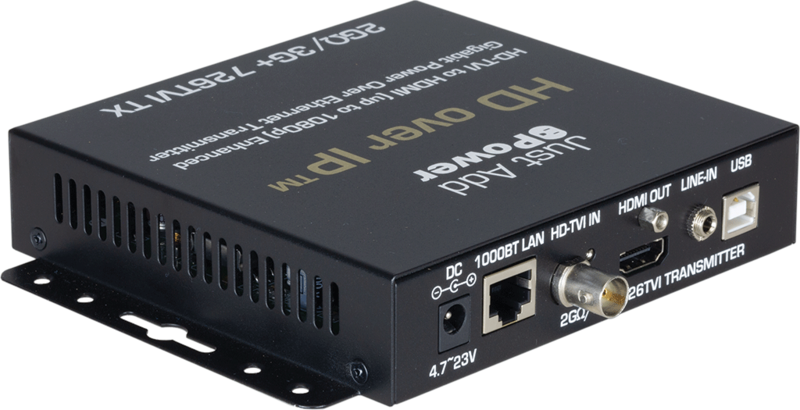 LARGO, Fla. — Just Add Power (J+P), a leader in Ultra HD over IP video distribution, announced the release of its 726TVI 2GΩ/3G+ TVI Power over Ethernet (PoE) transmitter. Making its debut at Integrated Systems Europe (ISE) 2019 in booth 1-N110, the transmitter allows integrators to add HD-TVI sources to a 4K system cost-effectively. The new 726TVI 2GΩ/3G+ TVI transmitter adds TVI support to Just Add Power’s 3G HD over IP system. Eliminating the need for a TVI-HDMI converter in the IP video distribution chain, integrators have the flexibility to add an HD-TVI source to their 4K infrastructure. Features include line-in for custom audio embedding, local HDMI pass-through, and USB 2.0 for pass-through camera control. Video image capabilities include push, pull, and pop for onscreen customization. As with all models in the J+P lineup, the 2GΩ/3G+ TVI solution integrates seamlessly with any generation of the company’s products, allowing integrators to build a future-proof infrastructure that suits any application requirement.